Custom built family home on a large tree section corner lot with lots of sunlight and privacy. This home offers a grand entry area opening to formal living room with 15ft ceilings. On the main floor there is 1 bedroom/office/den with large closet next to full bathroom. The gourmet kitchen has stainless appliances, large island and lots of cabinets, large walk in pantry, and butlers area. The kitchen opens up to large great room and kitchen eating area with access out to the large grassy yard. This home has an oversized garage with plenty of space for 2 cars and lots of storage area. Upstairs has a large master suite with walk in closet and private bathroom suite with 2 vanities. Two other bedrooms are upstairs sharing a jack and jill bathroom and separate laundry room. This home is perfectly situated with close proximity to local elementary school, north end of town, beach and parks. It also has easy freeway access. This home has a lot of natural light and privacy. SchoolsClick map icons below to view information for schools near 700 36th Street Manhattan Beach, CA 90266. Listing provided courtesy of Darrin O'hanlon, Strand Hill Christies International Real Estate. Home for sale at 700 36th Street Manhattan Beach, CA 90266. 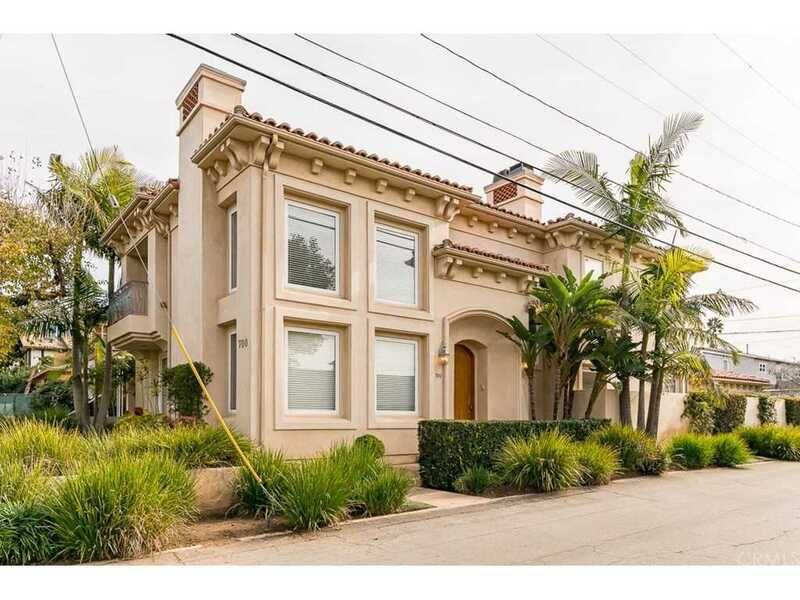 Description: The property at 700 36th Street Manhattan Beach, CA 90266 in the subdivision with the MLS# SB19004820 is currently listed for $2,638,000 and has been on the market for 99 days. You are viewing the CRMLS listing details of the home for sale at 700 36th Street Manhattan Beach, CA 90266, which features 4 bedrooms and 3 bathrooms, and 2966 sq.ft. of living area.